Conceived to mark Girard-Perregaux's 225th anniversary, the Place Girardet features the brand's signature gold bridge, with every watch of the limited edition fitted with a one-of-a-kind dial. Specs and prices below. 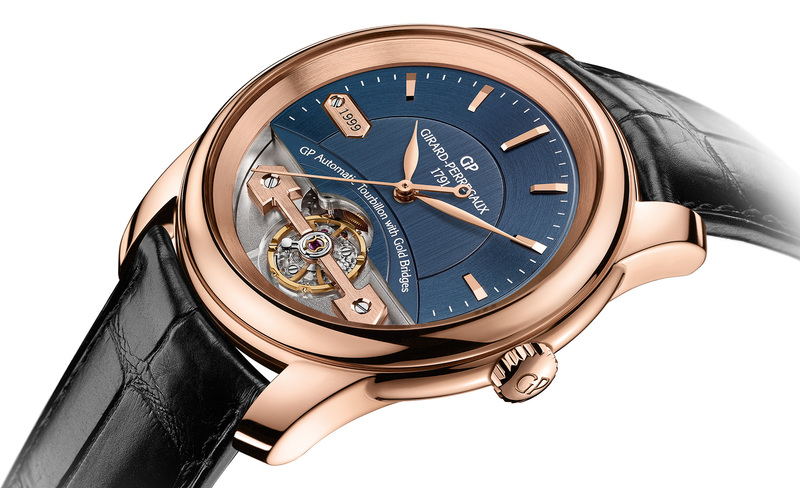 Girard-Perregaux celebrates its 225th year in 2016 with the Place Girardet, a 225-piece limited edition combining the brand’s signature golden bridge as well as the in-house Microvar balance wheel. 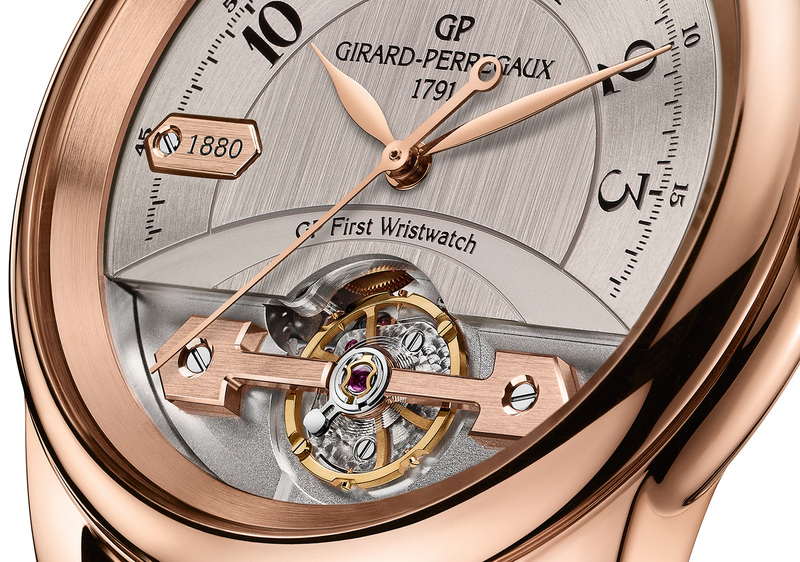 A feature appropriated from the icon Tourbillon sous trois Ponts d’or, or Tourbillon with Three Gold Bridges, the Place Girardet has a single pont d’or, one rose gold bridge on the dial at six o’clock. That secures the Microvar balance wheel, an adjustment mass, free-sprung balance wheel that is made in-house and promises better precision and stability after regulation. Notably, every dial on each of the 225 watches in the Place Girardet anniversary edition will be different. 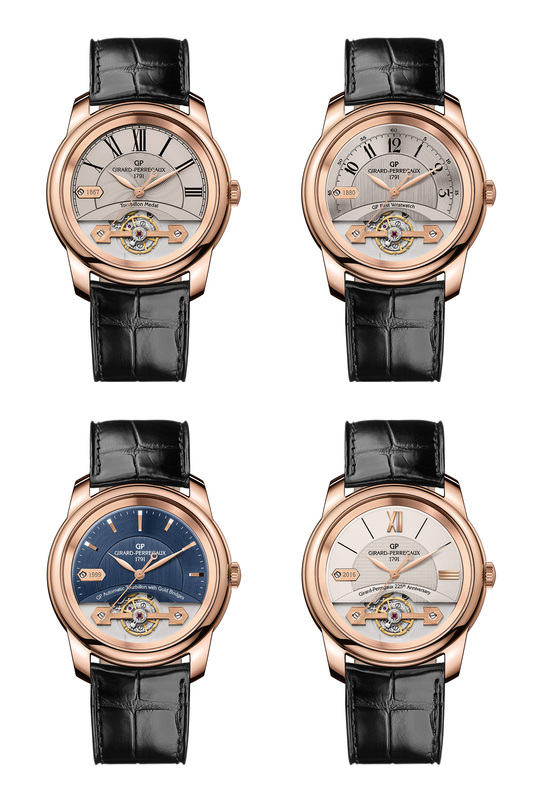 Each dial features a gold plate at nine o’clock engraved with a year, starting from 1791 and ending with 2016. Each dial will echo the style or a major happening of the specific year on the dial, with varying colours, finished and markers, though the hands and exposed balance wheel remain the same. While the dials differ, everything about the watch is standard across the series. The rose gold case is 41 mm in diameter, and thin at just under 11 mm high. And the movement is the calibre GP01800-0005, an automatic movement with a 54-hour power reserve. The Place Girardet is priced at SFr29,600, or S$46,800 in Singapore. The price is the same for any one of the 225 pieces.